Shelly Kuhn, 54, of Chillicothe, MO lost her battle with ALS on Tuesday, January 22, 2019 at home, surrounded by her family. Shelly was born November 2, 1964 in Chillicothe, the daughter of Louis Kuhn and Sally Hatfield Kuhn. She attended school in Chillicothe. She worked many years at John Graves Food. Shelly was a member of Calvary Baptist Church and she loved spending time with her family and grandchildren. 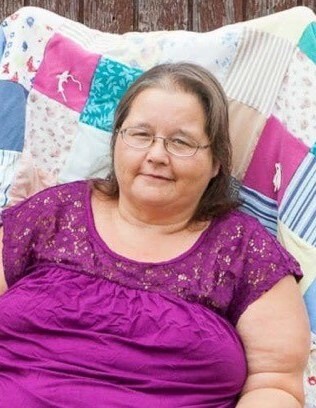 She is survived by her children, Amy Hand (Devon), Chelsey Mathews (Preston), Louis Souders (Cheyenne), Dakota Souders (Ashley), Zoe Souders, Tucker Brewer, Sadie Brewer, and her companion Willie Brewer; 12 grandchildren; three sisters, Melody Williams, Polly Musselman (Hugh), Kim Bloss (Cecil); her father, Louis Kuhn; and several nieces and nephews. Funeral services will be held 1:00 p.m. on Friday, January 25, 2019 at Heritage Funeral Home in Chillicothe. A visitation will be held from 12:00 noon until the time of the service at 1:00 p.m. at Heritage Funeral Home.